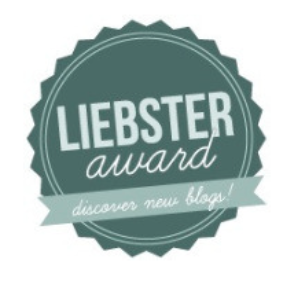 Paris has Graciously Nominated and Awarded me with the Liebster Award. I’m so Touched and Honored by his Gift. 1. What made you start your blog, and what keeps you doing it? I’m finding my “voice” within writing. I actually preferred math over english. I love to engage and interact with the Blogger’s I follow. 2. If you had to choose the best novelist of our time, who would it be? 3. A quote that has impacted your life the most? The path of the righteous man is beset on all sides by the inequities of the selfish and the tyranny of evil men. Blessed is he, who in the name of charity and good will, shepards the weak through the valley of the darkness, for he is truly his brother’s keeper and the finder of lost children. And I will strike down upon thee with great vengeance and furious anger those who would attempt to poison and destroy my brothers. And you will know my name is the Lord when I lay my vengeance upon thee. 4. What is your three favorite books, and the book you wished was never published? I can’t think of any written materials that I wished had never been published. Otherwise they wouldn’t be historical. 5. What is something you think all of your followers and fans should know about you? I’m still backed up with my e-mails. Please know that your writings are important to me. 6. If there’s one thing in the entire world you could change, what would it be? 7. Your favorite fictional character from any book, movie, comic, or TV show? 8. What’s one song that you just can’t get out of your head? 9. Suddenly, money isn’t a problem and you can travel to where ever you want to go. Where would you go? 10. Last but not least, what is one thing you do that happens to be awkward to everyone else? In all honesty I can’t think of any action that I would exhibit, that would create that type of reaction from others. If you could live in anywhere in the world, where would your new home be? Which do you prefer cat or dog? If given the opportunity to learn a new language which would you choose? If you could go back in time, what year or era would be your preferance? If you had the opportunity to interveiw anyone in the world who would you choose? How do you feel about the legalization of medicinal marijana for all 50 states? What is your fantasy car? Congratulations on receiving your Liebster Award. A Very Special Thanks for the blog mention in your related articles section. Thank you so much, your acknowledgment is greatly appreciated. Thank you so very much for thinking of me. I’m so deeply touched. It seems to me that you got to me first this time….nice cross over though my dear Anastasia! And yes I accept your award you lovely thing! And I have to say I am grateful to Brigid for sending me off looking for my friends…I have been away a bit, and not connected properly….I do hope all is well! Here is my post in your honour! !